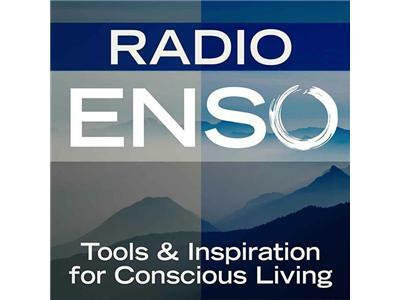 Join me Monday, September 9th at 6 p.m. Pacific/9 Eastern on Radio Enso. My guest will be Deva-lutionary and Champion for Freedom Sandi Amorim from Deva Coaching. Sandi was a guest back in Spring 2012 and returns to the show to talk about the the concept of freedom: what that means to each of us and various tools to achieve it, including her new offering The Freedom Sessions — A Journey from Struggle to Freedom. About Sandi: “Coaching since 2000, Asking questions since 1965. 1965 because I’m guessing that’s about the time I started to talk. I’ve been asking questions ever since. Imagine my surprise when I discovered a profession that was all about asking questions! I knew straight away that asking questions was my thing. I heard the message loud and clear. But anyone can ask questions, right? The magic lies in asking the right questions at the right time. That is where I shine. And I know, without a doubt that’s why we’re all here. We are born to shine. I also think it’s your dharma (duty) to crush anything that gets in the way of that. It is time. . .to give up your stories, reasons, and excuses. It’s time to free you up from the fear of shining. Not someday. Now. For more information about Sandi and the Freedom Sessions, visit http://www.devacoaching.com/.